It is the first ever Chinese product to win gold in the iF Service Design category. Established in 1953, the German-based iF Design Award has always been known for its "Independent, Rigorous and Reliable" standards. 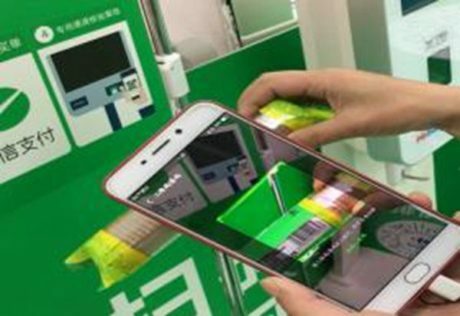 Scan & Go enables shoppers at retail stores to turn their mobile phone into a virtual checkout counter. When shopping, customers use their mobile phones to scan product barcodes, view product information, get discounts, complete self-checkout, and pay directly within the app via WeChat Pay. There is no queuing up at the cash register. "This concept shows a customer-centric scan-and-go-solution for an optimized shopping and retail context. “All parameters of the good user experience are met in this service design, including touch less access, efficiency or ease-of-use in scanning of market products and the final payment and check out. This is user-friendly design at its best," says iF Gold Award in its Gold Statement to Scan & Go. According to statistics, sales during peak hours in traditional supermarkets account for 60% of total turnover, and on average customers spends three to five minutes on queueing and payment during peak hours. With Scan & Go, customers no longer have to queue, and the payment time is shortened to one minute. 0 responses on "WeChat brought home iF Gold Award for its smart retail innovation-Scan&Go."